We'd love to hear from you about your take on the best (and worst) 80s movies, suggestions for movies you'd like us to discuss, and any other feedback you have. This being the age of social media and all, it's never been easier to connect with us. 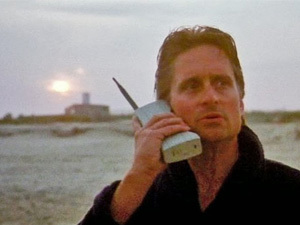 Unlike in the 80s, when you'd need to borrow Gordon Gekko's brick phone, all you have to do today is use the Interwebs to connect with us! Like us on Facebook, follow us on Twitter, view some of our favorite clips on our YouTube channel, or simply email us to join our little party! If you're interested in advertising, sponsoring or donating to our site, please click here!